Do you, or someone you know, suffer from HIV/AIDS and have a pet? 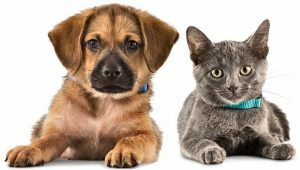 POZ is offering an online survey onsite to collect information related to how having a pet impacts your health. The online survey is free and will only take a few minutes to complete. The online survey is only fifteen questions long and is a quick, easy way to offer your insights. POZ is interested to know if having a pet improves your wellbeing from your point of view, how many pets you have, kinds of pets, how you received your pet, and so forth. POZ Magazine and website reach out to more than 70% of the US population who know they have HIV/AIDS. They offer information about the disease, testing options, health information, treatment updates, and more. POZ Magazines are distributed to physician’s offices throughout the country. If you, or someone you know, has been diagnoses with this disease, feel free to share this information with them. The online survey for POZ Pet Care feedback is offered online at www.poz.com/survey/pet-care.